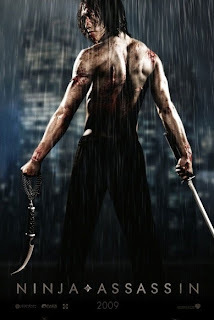 Ninja Assassin follows Raizo (Rain), one of the deadliest assassins in the world. Taken from the streets as a child, he was transformed into a trained killer by the Ozunu Clan, a secret society whose very existence is considered a myth. But haunted by the merciless execution of his friend by the Clan, Raizo breaks free from them and vanishes. Now he waits, preparing to exact his revenge. killers, led by the lethal Takeshi (Rick Yune), to silence her forever. Raizo saves Mika from her attackers, but he knows that the Clan will not rest until they are both eliminated. Now, entangled in a deadly game of cat and mouse through the streets of Europe, Raizo and Mika must trust one another if they hope to survive and finally bring down the elusive Ozunu Clan. yg dvd-rip blom ada ya? Yg DVD-Rip dah ada lom? ?